AYA is a truly unique addition to the Beirut landscape. 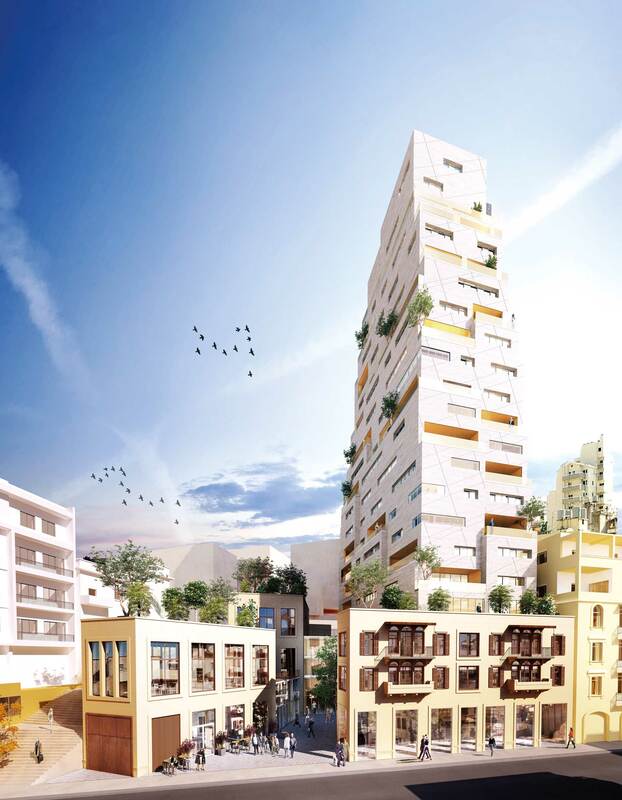 Located in Ashrafieh - Mar Mikhael area, next to the famous historical stairs of Mar Mikhael, this new landmark incorporates a preserved historical façade into its contemporary architecture. AYA is a mixed-use development, offering on its ground floor only six prime retail units; four offices are located on the first two floors of the building with independent access. 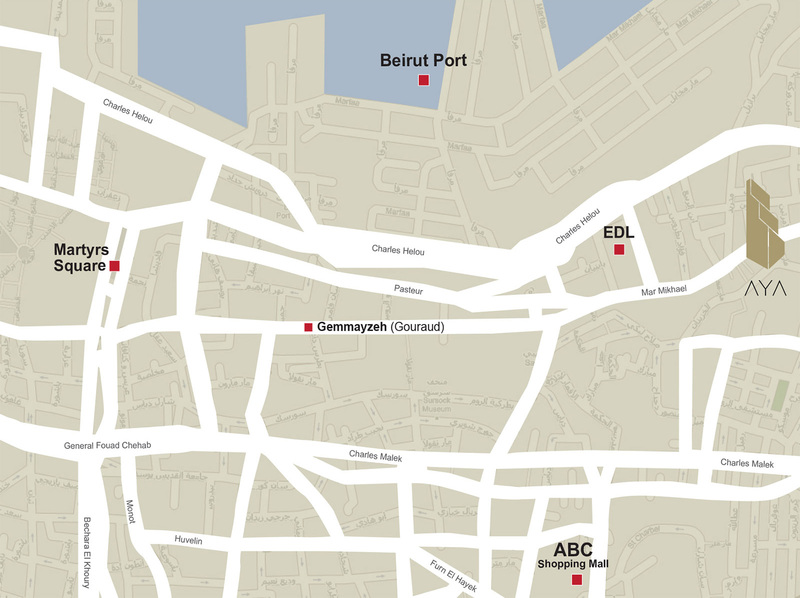 Twenty floors of residential living space offer simplexes starting from 114m². All residential units also benefit from views either over the Mediterranean Sea or Mountains beyond. AYA’s Residents will privilege from the exclusive use of the gym and swimming pool located on the ground ﬂoor of the project. Five basements are dedicated to storage rooms and ample parking space. Integral to AYA a serious approach to eco-friendly, energy-saving design.